The Royal College of Physicians and the Royal College of Emergency Medicine have called on the Welsh government to speed up their plans to invest in social and community care services, especially those which help to keep older people out of hospital and in their own homes for longer. Dr Gareth Llewelyn, the RCP’s vice president for Wales, said: "We’ve been lucky so far this winter. The weather has been relatively mild, and we’ve had no serious flu outbreak. But that doesn’t mean that we’re out of the woods. "While I welcome the health minister’s plans to explore a social care levy, as well as his promise to invest £180m in integrated health and social care services in Wales, I’m concerned that we’re not moving quickly enough. Many of my colleagues feel that we’re already stretched too thinly. Workforce rota gaps, a lack of bed space and the growing social care crisis are all contributing to a frustrating situation where many people are stuck in limbo because of blockages in the system. "Of course there are pockets of really good practice, and in my experience, social care teams are working harder than ever – but last month, the number of people waiting to leave hospital in Wales was at its highest for two years. This is increasingly unmanageable." He said that as every part of the system is linked, they can no longer afford to plan and fund health and care services in isolation. 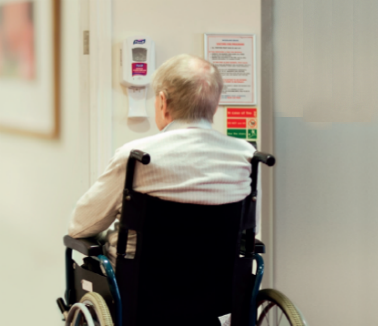 To treat people more quickly at the front door of the hospital, they would need to help people get home as soon as they are well enough. Almost half of adults in Wales have a long-term illness, and a third of adults say they are limited by illness. These numbers increase with age, and with the proportion of people over the age of 75 in Wales projected to grow by more than 70% by 2040, and the number of people over 85 anticipated to more than double by 2040. The number of people over 65 who will require social or community care in Wales is predicted to rise by more than 50% by 2030. The joint statement said that if services caring for older and disabled people are not properly funded, all patients across primary and secondary care suffer. People who could and should be supported in the community will remain stranded in GP waiting rooms, in crowded emergency departments or in hospital beds. This not only leads to poorer outcomes for the patient, it significantly reduces the resources available to treat other people.